I would imagine that visiting gardens between the wars was much more of an adventure than it is today; no road signs, no gift shops, glossy brochures, plant sales, restaurants and cafes, no children’s play areas, farmers’ markets, no pay machines for car-parking, or earnest bustling beige-clad volunteers bossing you around (my future, I’m sure). This is one of the charms of Rousham, you park in the yard, are trusted to put money in a ticket machine, pick up a skimpy information sheet, and you’ll all set. The house is seldom open, so you find your way round to the side gate, past Chinese chickens that look ludicrously out of place and long-horned cattle grazing contentedly the other side of the ha-ha. 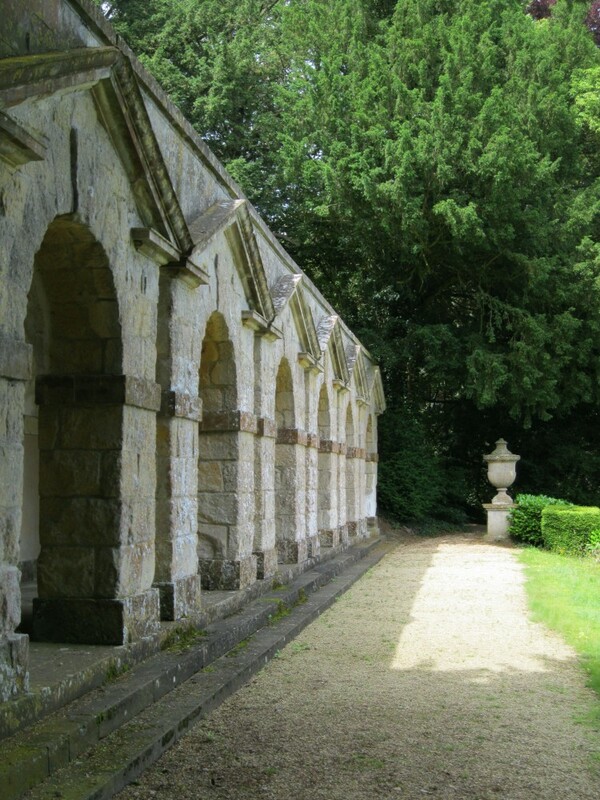 Rousham is not a large garden, but ask virtually any garden designer and they will enthuse wildly about it. 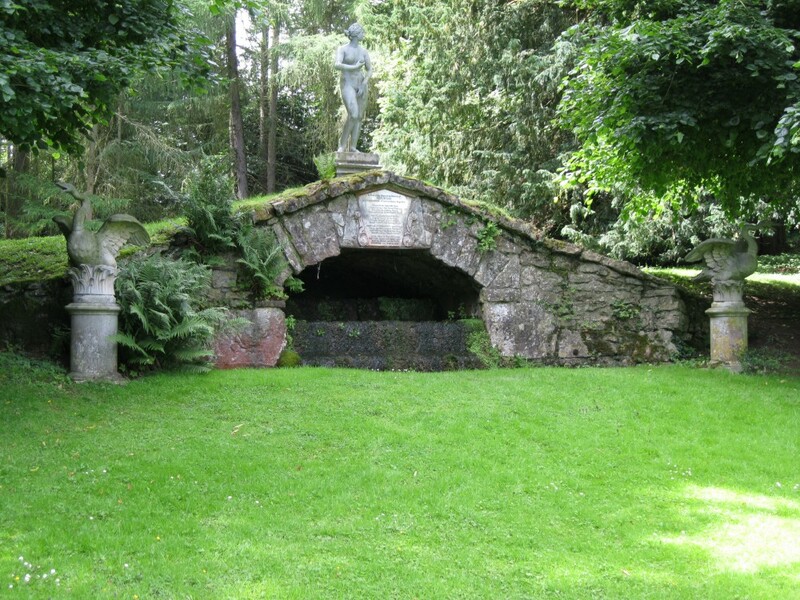 Built between 1737 and 1744, its designer, William Kent, brought flowing lines and borrowed landscape into what was at that time still a semi-formal English Landscape Garden. Rousham is Kent’s masterpiece, and what’s more it hasn’t been overlaid by subsequent changes of garden fashion, although replanting has taken place, as in all historical gardens. 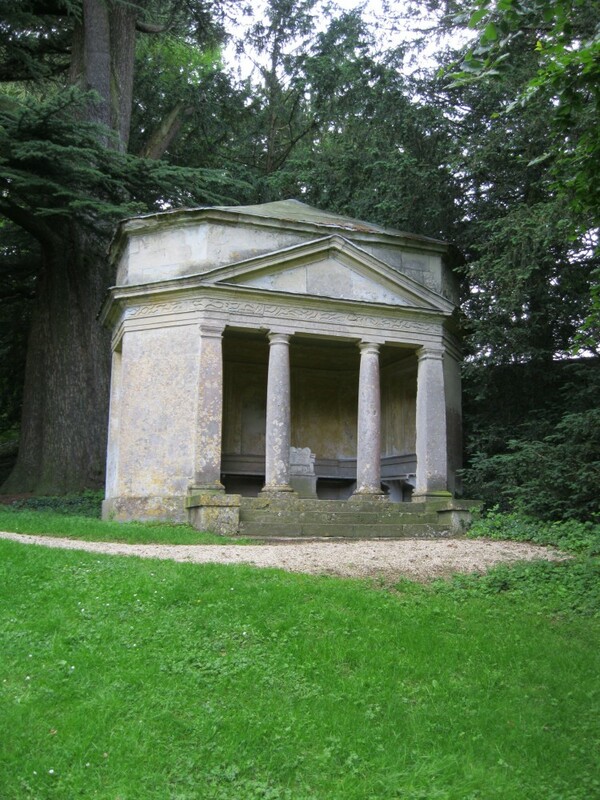 It is such an exciting landscape because you are led from one very satisfying theatrical set piece to the next, with fine statuary, mellow stone temples, and open pasture contrasting with dark enclosing woodland and distant views. Despite it being largely unchanged, I wanted to get back closer to Kent’s intentions and I think the famous quote about him, that ‘he jumped the fence and saw that all nature was a garden’ is the key; referring to the abundance of nature in all its forms, not just the flowing lines and borrowed views. 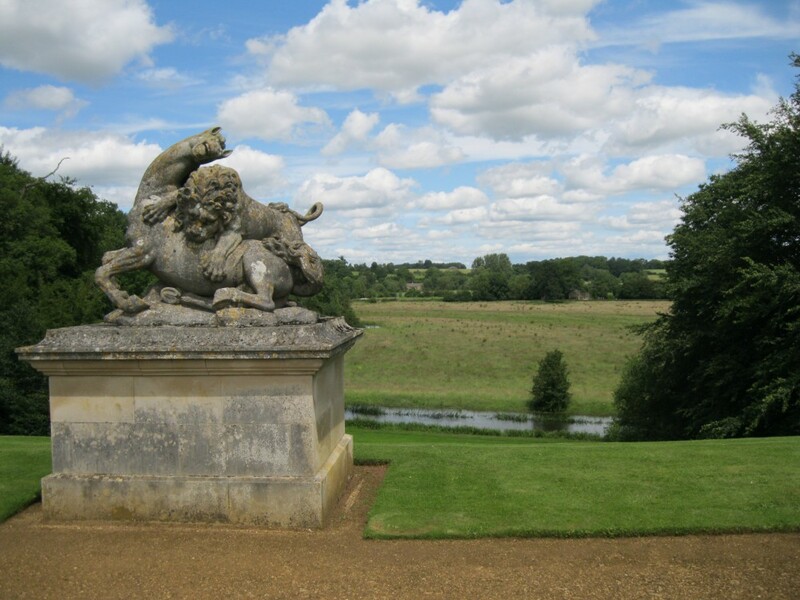 At the end of the Bowling Green, lies Scheemaker’s stupendous statue of a lion savaging a horse, and to each side Kent placed arbour seats that would have looked down a steep slope to a languid S-bend in the River Cherwell, and beyond to arcadian meadows carpeted with large swathes of wild flowers. The scene is still the same, but I think probably duller than it once was; the wild flowers having gone. Similarly, a sloping path, beside one of the arbour seats, winds down through woods, with an understory of neatly clipped box, yew and laurel. Originally it was also planted with roses, lilac and honeysuckle; the encroaching shade has turned this into a tighter composition of contrasting leaves, textures and green foliage. 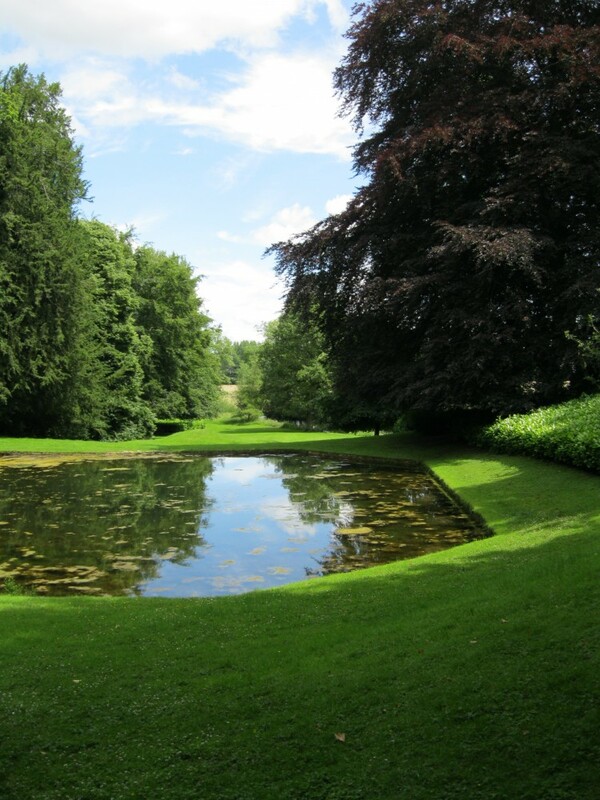 The most significant change to the garden is in Venus’s Vale where two former ponds, now marshy depressions are to be found, above the Cascades and the Octagon Pond. 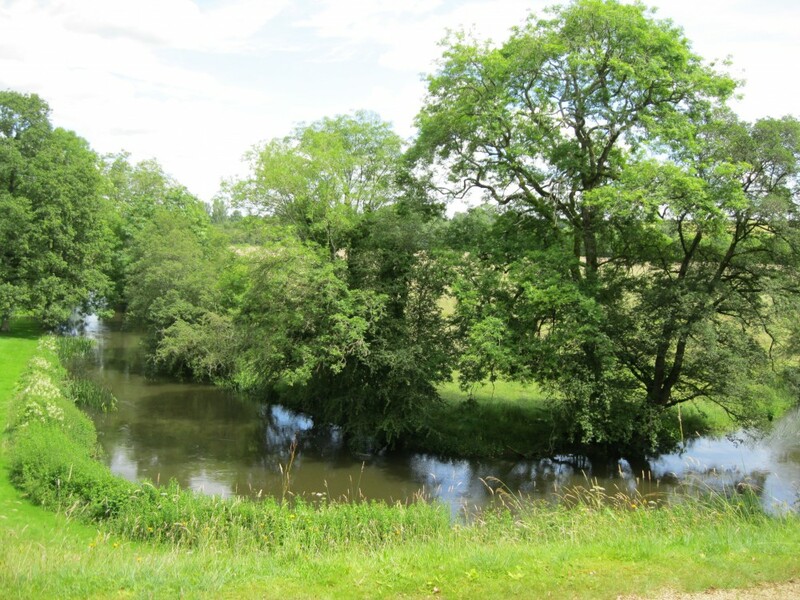 The skilfully handled view of these three descending ponds to the bend in the River Cherwell is now just a memory. The tightly mown grass here, as elsewhere would previously have been flowery meadow scythed a couple of times a year, giving the garden a more rustic feel. 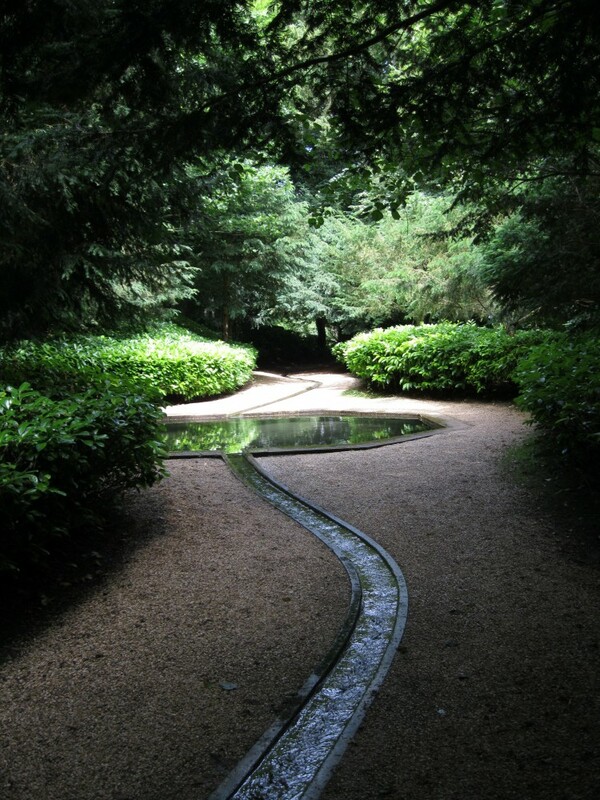 One feature of Kent’s garden at Rousham that is unchanged, and that I always find as exciting as on my first visit is the Watery Walk which snakes down the opposite hillside from the Temple of Echo, through the Cold Bath to the Octagon Pond. The silvery reflection of the moving water in a serpentine stone channel , under a high dark canopy of beech and oak is one of the most breathtakingly beautiful features of any English Landscape Garden. Although the perennial borders in the Walled Garden are worth a passing mention, unlike the rest of Rousham, they are not unique. 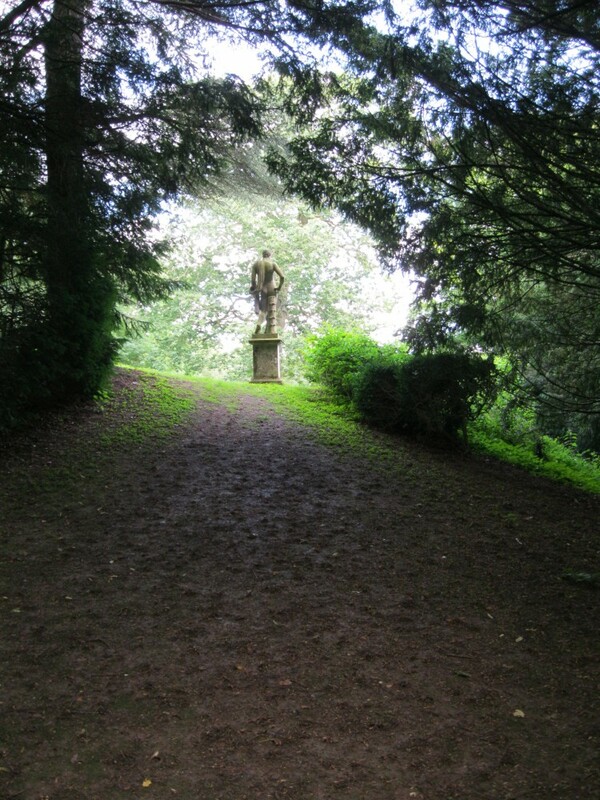 Rousham excites me like few other gardens. It is simply sublime.